Your banner is part of your background. This means that your background image has to have your banner inside of it. I have prepared a custom photoshop file that will make this entire process easy for you. 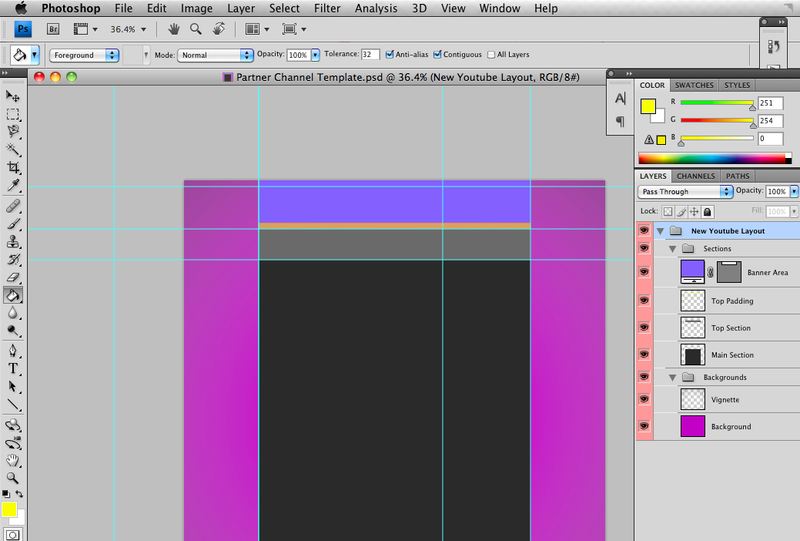 In the custom photoshop file, make your youtube channel background using the guidelines I have setup. The Purple/Pink area is your background part. The Light Purple/Blue area is where your banner will be located. 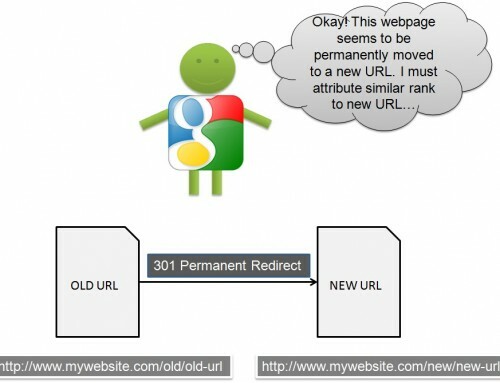 You can put links to things like your website, your blog, your twitter account, facebook and etc. Design it as you wish. Once you finish with your design (and turn off the layers that don’t deal with the background) make sure to go to File –> Save (As JPG) and also File –> Save for Web and Devices. 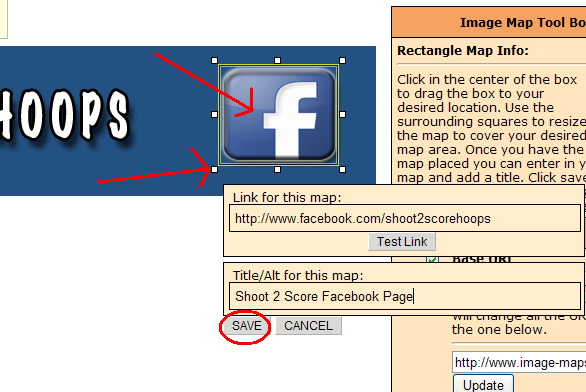 My photoshop file will automatically “save for web and devices” the banner into a separate image files that you will need for the next step. Everything will be inside of an image folder. 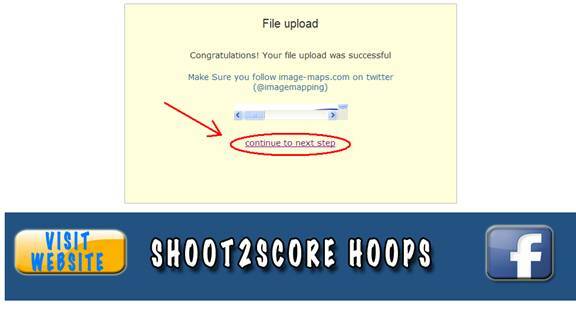 Find the image file that is the banner for your Youtube channel then proceed to the next step. You cannot upload a picture or simply link to an image on the new Youtube channel layout. What happens they allow you space up top (150 px) that will be apart of your background for your YouTube channel that will be used for a custom YouTube channel banner. 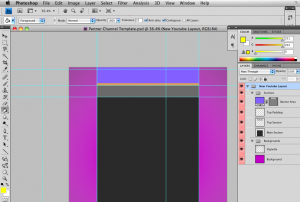 Simply put, this banner area is not a separate file, it is just your background. 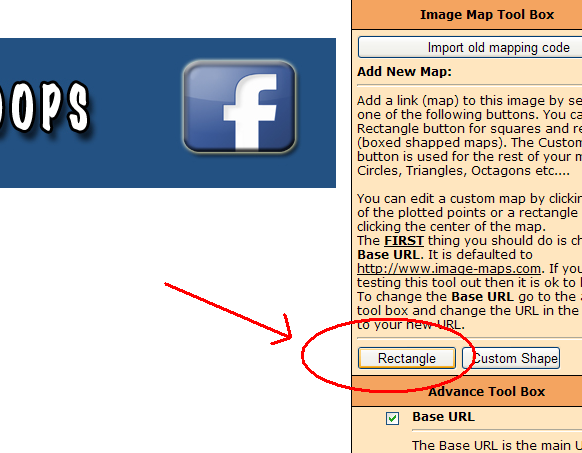 What you are doing is making areas within that region clickable by what is called an “imagemap”. 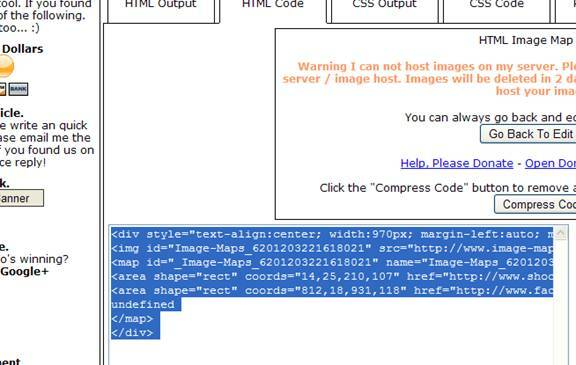 (Make sure you put in 150 px in the box above the image map code box. ) 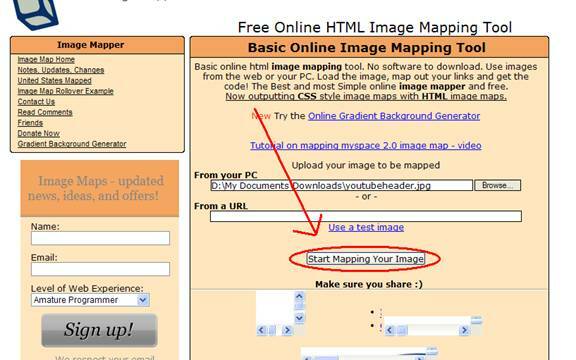 Lets get to it…….. Now you need to create image maps html. Lets me walk you through this. 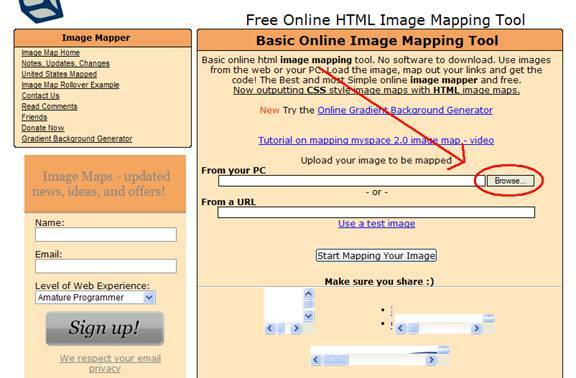 On the imagemap website, click browse and navigate to that banner image and click open. 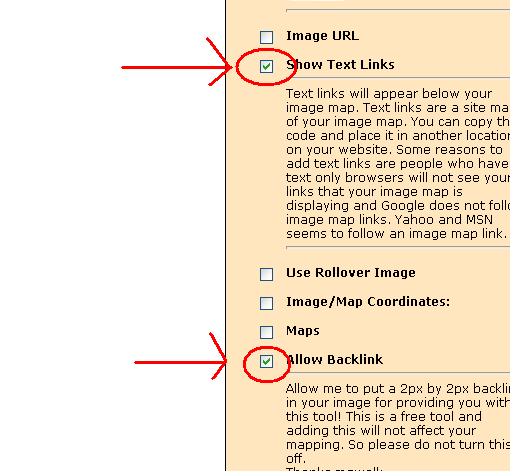 First thing you need to do is to navigate to the bottom right of this page and UNCHECK “Allow backlinks” and “Show Text Links”. These items should now be collapsed. Next, click on the rectangle button so that you can put a rectangular area around the parts of your Youtube banner that you want to make a link. Repeat the previous process (Clicking Rectangle .. .Blah blah blahh) until you have all the links on your Youtube channel banner linked to where you want it to be linked. 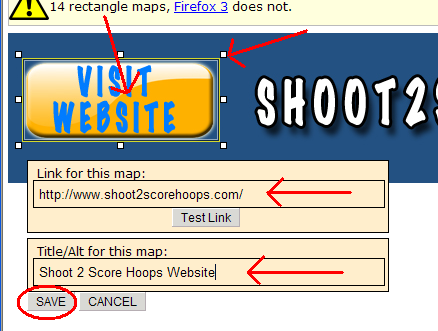 You can also Test Link to make sure you type in the correct URL. 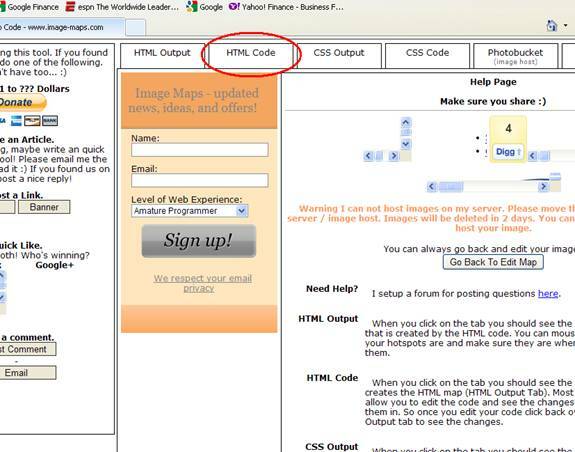 When you have completed all your links, you can hover over your banner and you will notice an opaque square over your links as well as where the links will be going to. At this point, your Youtube channel banner code is complete. 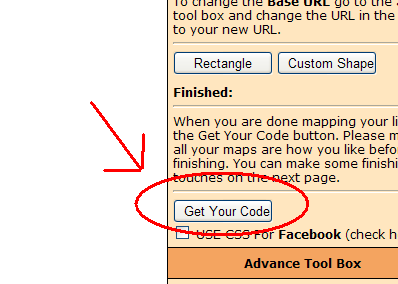 Now what you want to do is click on the “Get your Code” button. Once you finish that, you will see your generated code in the text box. Make sure to highlight and copy all of this and paste it into your Youtube channel banner image map section. (Remember if you don’t have this option then you have not signed up to be a Youtube partner.